The Lincoln Center Art Gallery is a beautiful glass-front, self-contained space specifically designed for exhibiting artworks in all media. 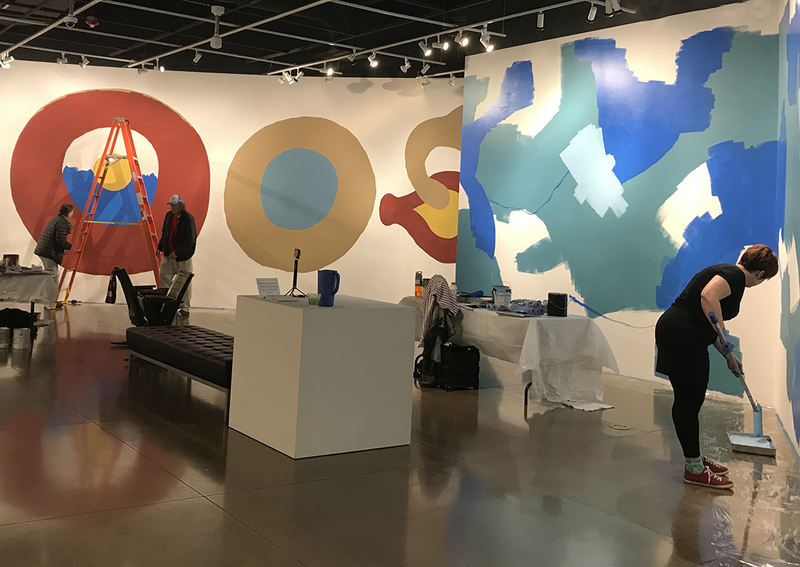 The Visual Arts program organizes changing art exhibits about every 5-7 weeks featuring national juried competitions, curated contemporary artists from around the country, and occasional traveling art exhibits. Gallery exhibitions are designed by the legendary Jack Curfman. Opening Receptions are free and open to the public, as are Gallery Talks that feature presentations given by exhibiting artists. Large groups are encouraged to call ahead to schedule a Gallery Tour with the Arts Administrator at 970-416-2789. Interested in exhibiting at the Lincoln Center? Please see our current artist opportunities here.